Create your own unique Fannie pouch / bag using this PDF pattern. 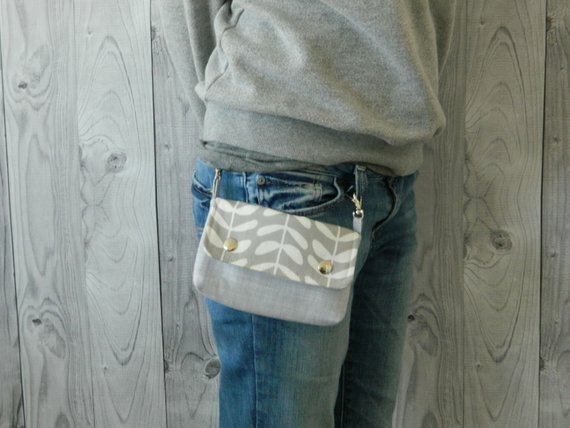 The bag can be worn two ways - attached to belt loops of your favorite jeans, or as a regular little purse. Instructions on how to add a thin detachable handle are included. You will receive 11 pages of clear, easy to follow step by step instructions and color photos + template to make this pouch.